圖1. 25 inlay prep 與 26 endocrown 窩洞修磨，可看到多個大角度轉折。 圖2. 25 inlay prep 近心側觀。 圖3. 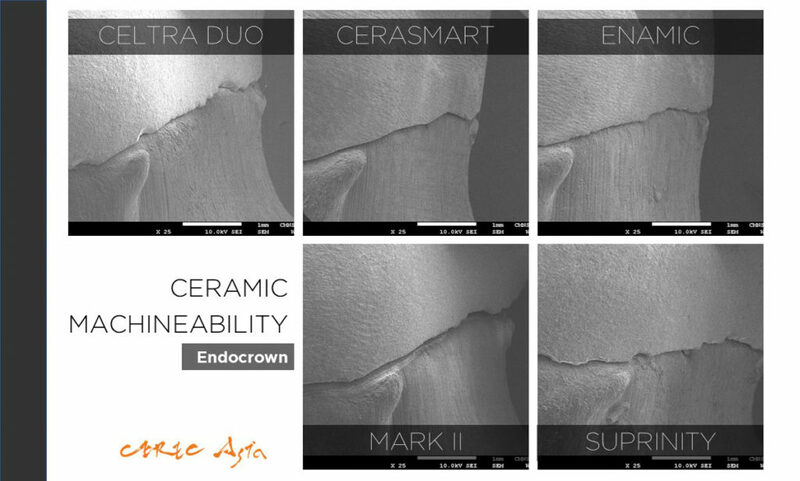 3D 列印模型。Source: CEREC Asia Training Center, R&D department. 圖4-5. 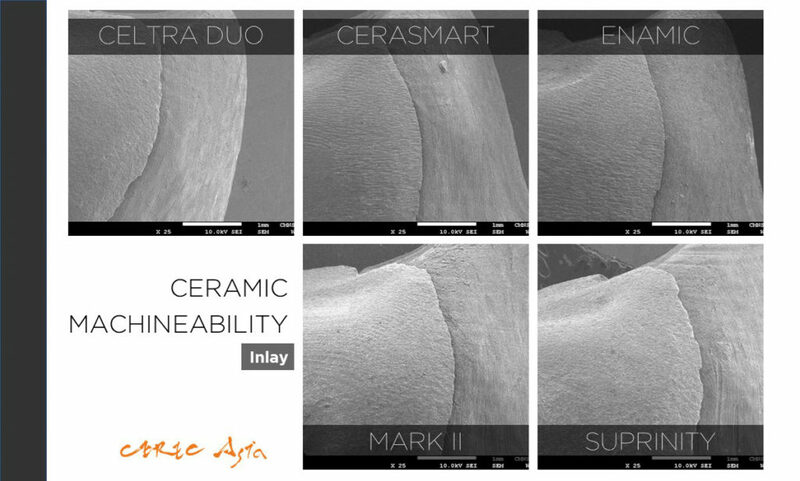 25 inlay prep 較大邊緣轉角角度。Source: CEREC Asia Training Center, R&D department. 圖6-7. 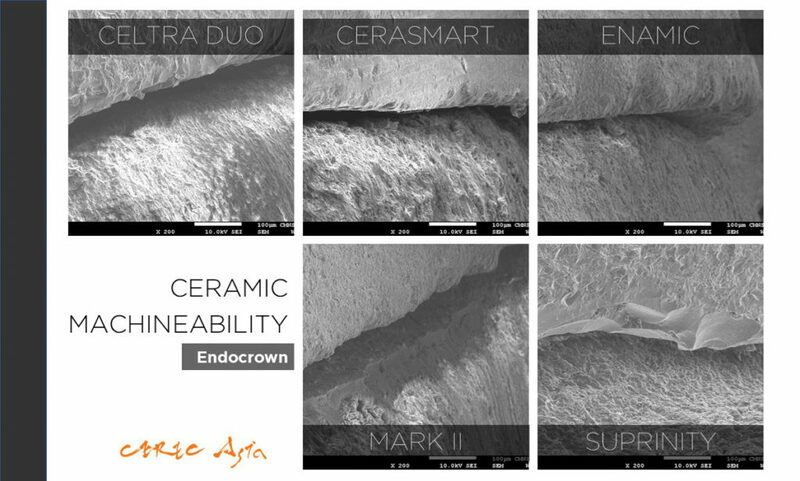 Endocrown 90 度的邊緣轉角。Source: CEREC Asia Training Center, R&D department. 圖8-10. 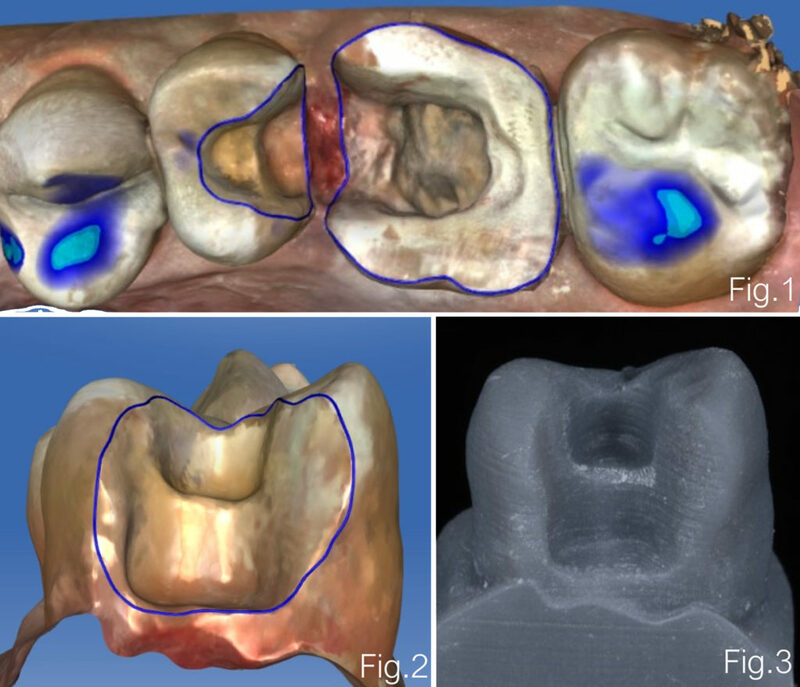 3D 列印模型與研磨出來的贋復物。Source: CEREC Asia Training Center, R&D department. 圖11. 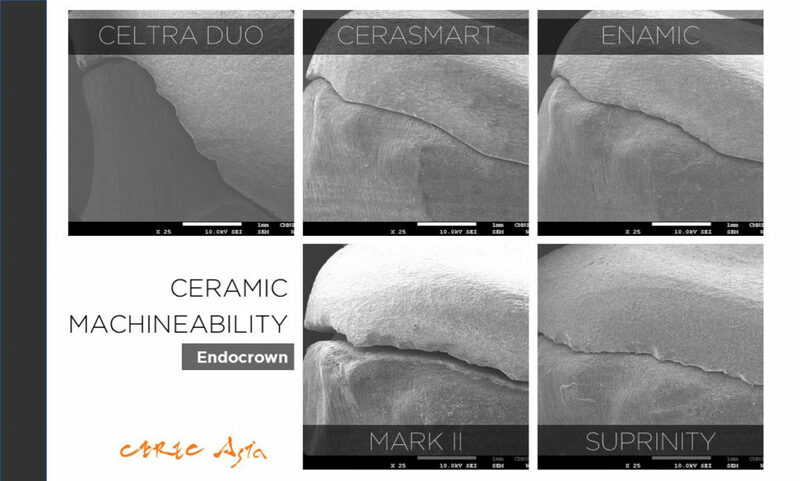 最薄的贋復體厚度 0.43 mm。Source: CEREC Asia Training Center, R&D department. 圖12. 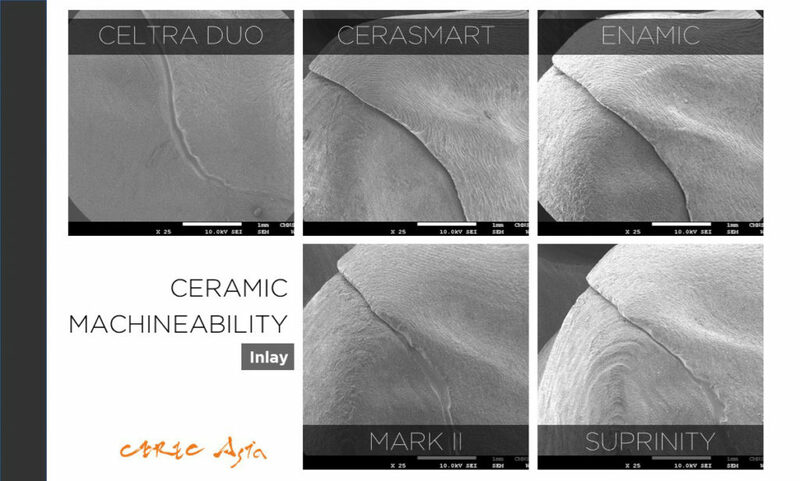 Resin-ceramic hybrids 陶瓷（CERASMART，ENAMIC）與其他陶瓷之間的差異是相當明顯的。 可以看到 Margin 的平滑度。 鋸齒狀和不規則邊緣表示該陶瓷有 chipping 的發生。Source: CEREC Asia Training Center, R&D department. 圖13. 前述陶瓷較薄區域 (25 inlay 的 mesiobuccal)，可以看到 Resin-ceramic hybrids 陶瓷的表現依然良好。Source: CEREC Asia Training Center, R&D department. 圖14. 一樣可以看到一個趨勢，Resin-ceramic hybrids 的邊緣完整度表現優於 ZLS 更優於 Feldspar，其中 CERASMART 略優於 ENAMIC。Source: CEREC Asia Training Center, R&D department. 圖15. 在更高的放大倍數下，這個差異就更明顯了。Source: CEREC Asia Training Center, R&D department. 圖16. 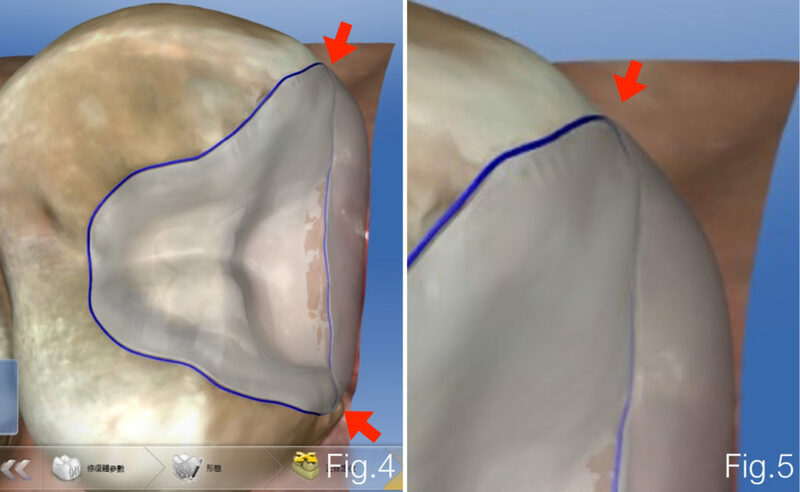 在 Shoulder margin 的情況，仍然有局部 chipping 發生。Source: CEREC Asia Training Center, R&D department. 1. Lawson NC, et al. 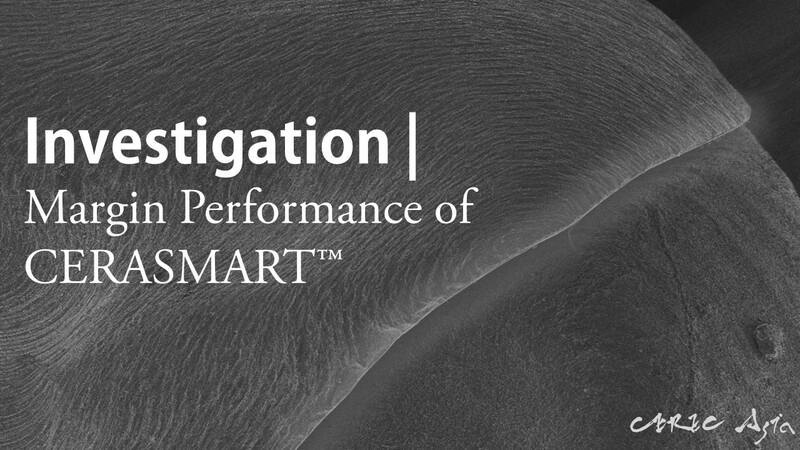 Wear, strength, modulus and hardness of CAD/CAM restorative materials. Dent Mater (2016), Nov;32(11):e275-e283.